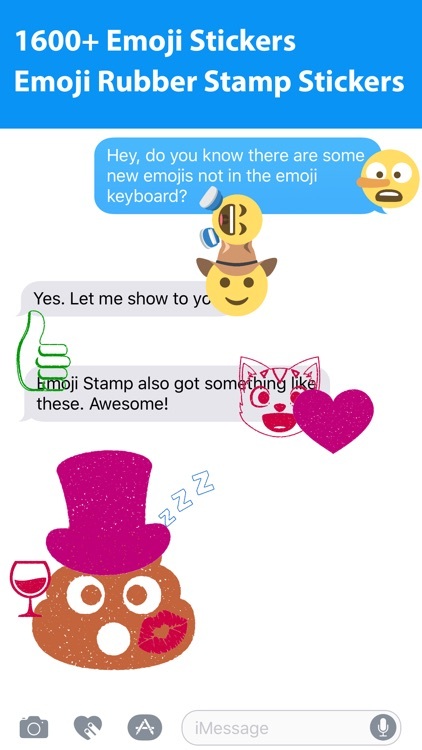 Stamp your messages with your emoji of approval! Or disapproval! 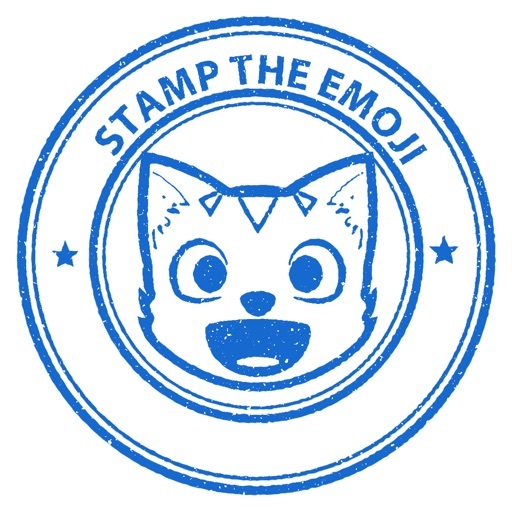 Delight your friends with rubber stamp style emoji – including all Unicode 9 new emoji! 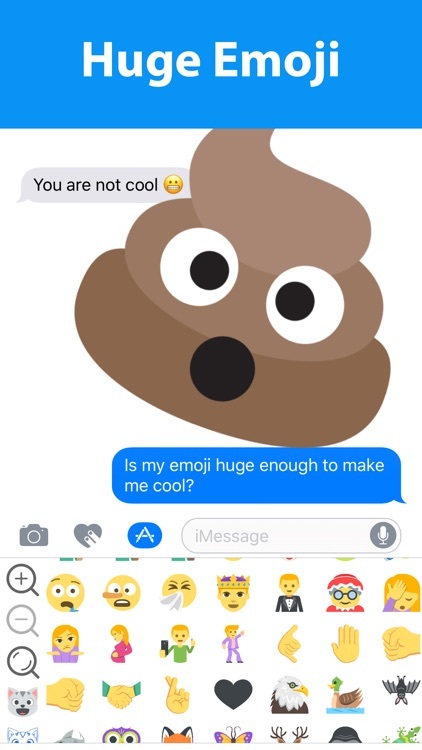 You can make these emoji super large too! 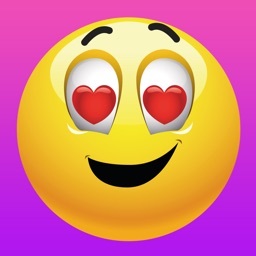 All emojis are in sticker format, designed exclusively for use within iMessage, so peel and stick – well – stamp, away with all new emoji happiness! 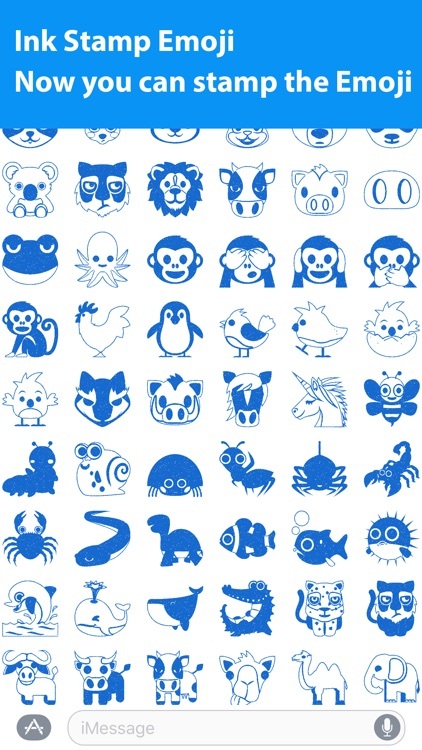 Over 1600 emoji stickers to choose from! 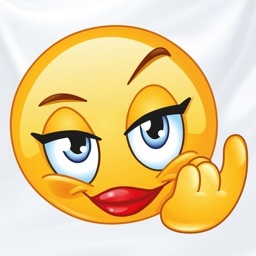 If you’re looking for new emoji or emoji in a different style, we’ve got them! 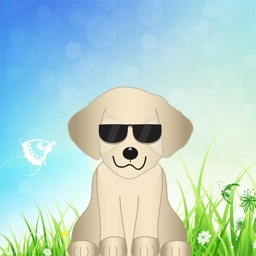 Peel and stick directly into your messages, on your photos, and in your chat boxes. 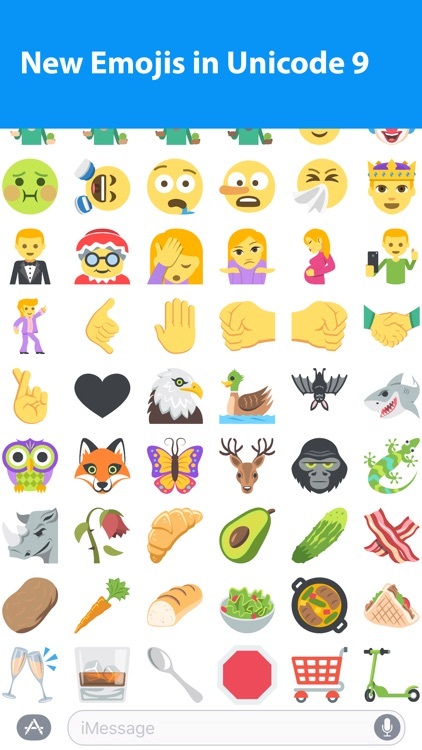 Now you can have new and different emoji in every message that you send. 1. 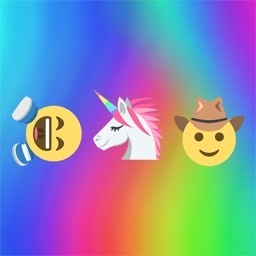 The full color and blue ink emoji set are provided within the app. 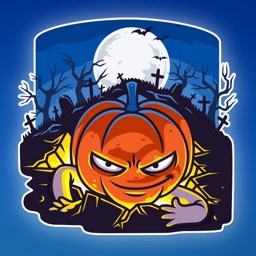 Require purchase inapp purchases to unlock 5 extra ink colors.